The educational system in which I was brought up encouraged “cramming”; that is, waiting until the last possible moment before an exam and then trying to cram all the information into your brain in one sleepless night, usually fueled by coffee and sugar. At exam time you’d then vomit all this information back out, probably never to remember it — or use it, for that matter — ever again. Clearly, this doesn’t work in the same way with a musical instrument, or at least not very well. A professional could probably get away with it once in a while, but having to deal with students that try to practice this way is extremely frustrating. The times I’ve had to cram like this for a concert have been pretty uneven. It worked for me with Gershwin, since it ended up being more improvisatory and spontaneous because the interpretation wasn’t too grounded and overly drilled. On the other hand, it was a complete disaster when I had to do it with Brahms. In both cases, the notes left my head almost as fast as they went in, I wouldn’t be able to play a single note of either of those pieces right now, even with a gun to my head. Getting a student to practice consistently is a familiar problem for most teachers, maybe because this cramming habit is ingrained in many children. When I get absolute beginners in my class I recommend that they practice in short sessions of 10 minutes, two sessions per day. Every day. There’s the key: every single day. Even a single daily 10-minute practice session each day is better than skipping a couple of days and then undergoing a two-hour practice marathon before the lesson. Getting this practicing habit across is a recurring problem when teaching children, and a big headache for most teachers. Practicing in short 10-minute sessions was something that I thought was exclusive to children and beginners, to hold their interest. Gradually I would get them to add a bit more practice time to each session. However, recently I’ve found that practicing in short little bursts like these gives really good results for a professional as well. It makes it easier to conserve that one thing that is so important: enthusiasm. 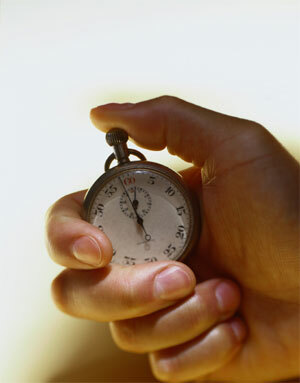 Lately I haven’t had a choice, it’s either practice in short 10-minute bursts or don’t practice at all. With recitals and concerts looming in the horizon, the second one is not really an option at all, unless I want to quit playing completely — by the way, is there a term for giving up the piano? (In Spanish I’ve heard it referred to as “throwing out the harp.”) In any case, I’ve been forced to practice in a dozen little bursts each day. Either between students, or in the little while in which my 8-month baby is absorbed with some particular toy and doesn’t demand my presence. After a few months of learning some repertoire by almost exclusively practicing in this way, I’m pleasantly surprised with the results so far. An obvious advantage to practicing in this way is in the increased focus on solving problem spots and going straight to the point each time I sit down to play. It also probably has to do with the way the piece grows in the mind between practice sessions. However, the main reason this has worked for me is probably more subtle; I think it has to do more with the way I end practicing each time. 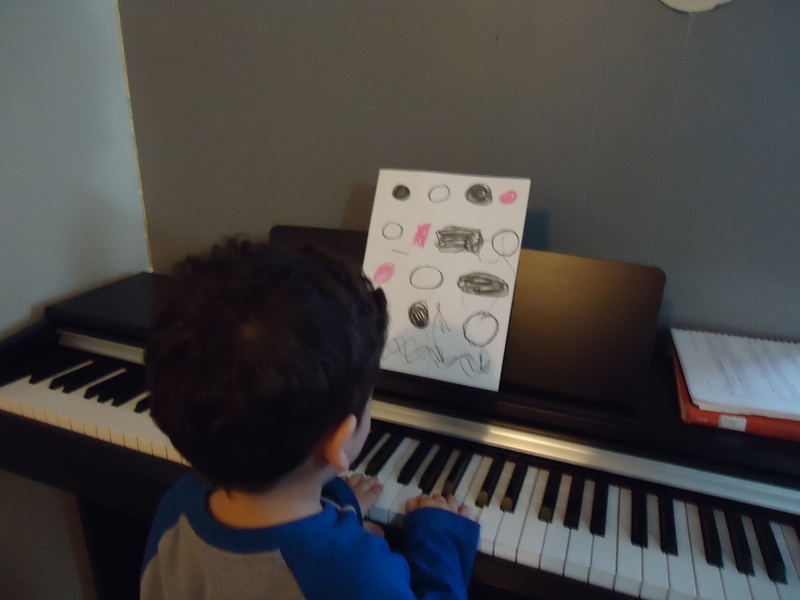 By practicing in short little bursts that are suddenly interrupted with a pressing matter (either a student or a baby needing his dad,) I’m forced to stop whatever I’m doing. If the practicing is going well, then I am enthusiastic and can’t wait to get started again; if the music isn’t cooperating with me that particular day then I’m forced to stop before I reach throw-the-piano-through-the-window levels of frustration. I’m not sure it would work with everyone, and I’m still unsure about recommending it to my older students, but so far it’s been working for me. At least much better than the 4-5 hour non-stop practice marathons I’d stupidly do back in music school. Mozart 21 and the Dangers of Overplaying. For one of this year’s concert engagements, I will be playing Mozart’s 21st piano concerto. This piece has a very personal meaning for me. It’s one of the reasons I ultimately fell in love with the piano and with music. This will be the first time I play this concerto with an orchestra and I am very excited. One of my earliest musical memories is of me and my brother as toddlers dancing around while our father played a record of this concerto with Alicia de Larrocha. There were words that we would sing along to the second theme of the concerto about how “all the good little kittens were off to their beds,” (in Spanish: todos los gatitos ya nos vamos a dormir…) and when the trumpets played that little descending third that begins the theme before the coda, we would sing along: “Meaaaa-ow! Meaaaa-ow!” Now I get to practice this concerto while my baby watches from the playpen (not too long, I don’t want him getting too bored,) jumps around on his stationary jumper (louder, because that jumper is pretty noisy,) sleeps in his crib (sempre una corda e molto pianissimo,) or with him on my lap (one hand at a time and with him “playing along” with his fists — a lot of fun by the way.) I am truly blessed. The Mozart concertos that I have played before — 9, 11 and 12 — all had original cadenzas by the composer. Since this one doesn’t, I decided to try my hand at improvising the cadenza. I am not sufficiently skilled at improvising to go out on stage and invent something completely from scratch. Instead, I decided to set up a sort of framework that I could follow, working out beforehand certain chord progressions and themes that I’d like to play along the way, but leaving enough room for spontaneity. For example, in a certain spot I could know that I want to go from C major to E minor using a certain chord progression; whether I do it playing arpeggios from the development section, or scales in broken octaves, or a sequence made out of one of the themes is up to whatever I’m feeling at the moment. My first attempt at a cadenza went something like this: Go down along the keyboard from the I6/4 chord until I reach the bottom G. After that, I would make some sort of sequence using the second theme while modulating to E minor and then come back to G major. Play something based on the “Meaow” theme and then hit the trill and give the orchestra their cue. Quick and simple with little parts of my favorite themes from the first movement. After a while, I noticed that the beginning of the development section would be a nice way to start the cadenza, maybe changing it to major instead of the original minor key, so I added that. Then, while practicing the development, I noticed that I could cross my left hand over while playing the descending E minor arpeggios and play the “Meaow” theme over and under it, so I added that too. Every time I practiced it I would add a little more, never noticing what my cadenza was turning into. After a month of working on the concerto, I asked my wife to listen to the cadenza. I was really quite clever: I combined themes with one another, played them in unexpected harmonies, and quoted little snippets from the orchestral part of the concerto. I showed off my broken octaves and sixths and all sorts of cool harmonic tricks I’d picked up from different parts of the concerto (especially that amazing variant on a simple progression along the circle of fifths that is right after the second theme.) So, when I was done, what did she say? She was right, of course; my cadenza was a convoluted Frankenstein’s monster. Self-editing has been pretty painful now. Each section I’ve had to cut since then feels like a jab at my own ego. I think I’ve got it down to something workable now — start with the little theme the woodwinds play three times before the piano’s entrance, doing a little variation each time; then some sort of variation on the opening passage of the concerto while going up to the dominant; play one of the themes (probably the second one) on the dominant in a more risoluto character to lead into the final trill. Every time I play it I have to resist the temptation to tack on more unnecesary stuff to it again. I had this problem in my short stint as a jazz pianist in my high-school’s junior jazz band (I didn’t make the cut for the big jazz band, I was a trumpet player at the time.) There was a piano solo for me in a Count Basie standard. Each time we played it I added something new to it and, by the time we showed up to the regional competitions, it was a convoluted mess of octaves and broken arpeggios (the only technical difficulties that I could reliably do without messing them up too badly.) Back then, one of the judges from the competition wrote on his advice slip: “The pianist is way too busy, this song should be laid-back.” Apparently I haven’t learned anything since then. Charmes, by Federico Mompou is a work comprised of six short pieces that, as the title implies, are short little spells intended to conjure different effects: …to alleviate suffering …to inspire love … to penetrate the soul …to effect a cure …to evoke an image of the past …to inspire joy. This approach towards composition is a great example of what Mompou’s music is about. Traditional analysis brings nothing to the table, most of his works from after the 20’s are wisps of fog; scraps of melody, ostinato figures and refined harmonies which, while owing a lot to the music of Satie and his contemporaries, have an entirely different approach towards musical discourse. Development and rigid construction are the furthest thing from Mompou’s mind –in fact, in an interview he admitted to adoring all music except for Haydn, Mozart and Beethoven, precisely because of those qualities. What Mompou fully appreciated, decades before John Cage talked about everything around us being music, is that every chord, every motif, every note has an intrinsic beauty and meaning that is completely independent of what a composer does with it. What results of this aesthetic is music with long ostinati, frequent repetition and in which harmony has no functional meaning, but is profoundly connected with timbre. Much like bells –which play a very important role in Mompou’s music and life– the notes in each chord and the harmonics they produce result in different qualities of tone, ranging from the tinny, metallic sound typical of minor seconds and tritones, to the full, resonant, harmonic-rich superimposed fifths and fourths. Magic is the word that best describes Mompou’s music, a meaning to be taken literally in his 1920-21 work Charmes. But perhaps this concept isn’t so unique to Mompou. After all, the use of music for its magical properties is something that has been a part of every culture since we started walking upright. The first spell in this cycle, …pour endormir la souffrance (…to alleviate suffering) conjures up an effect that everyone has felt at some time. Music as a refuge, as a way of dulling our pain. 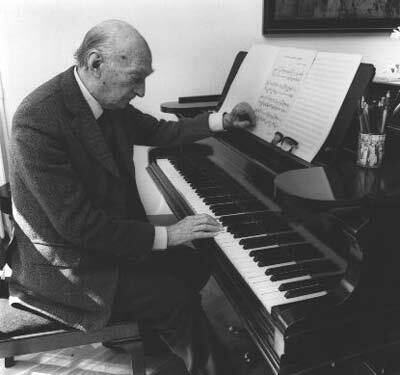 Contrary to what happens with the majority of serialist music, which is more interesting to analyze than it is to play or listen to, Mompou suffers from analysis. The first piece in Charmes is just a short Debussyian fragment of a melody repeated exactly the same four times over an ostinato pattern in the left hand, with very slight coloring shifts in the harmony. While not to everyone’s liking, I find that repetition to be an essential part of Mompou’s language; here it softly nudges you over and over, subtly shifting from darkness to light. It’s like taking a beautiful gemstone in your hands and turning it, watching the light play on its surface. Does this music do what Mompou intends it to do, that is, “alleviate suffering”? I think it does. But that’s entirely up to the listener. While one may just hear the same thing over and over, someone else will allow himself to be swept away. The music of Erik Satie presents some very difficult problems of interpretation, especially when you consider that it wasn’t long ago that he was considered a minor composer, an eccentric that really didn’t know what he was doing. There are two reasons why Satie is so difficult to play right: the very disparate extremes of character in his compositions and the amount of trust that Satie places in the hands of his interpreters. In other words, he does all kinds of crazy things, constantly changes everything around and doesn’t give you a single clue to what’s going on. His music can evoke both classical antiquity and a smoke-filled dingy café. It can seduce the listener at one moment and thumb its nose at him in the next. He writes delicate, refined, Schubert-like melodies that were intended for the cabaret, to be belted out by a booze-soaked, raspy-voiced singer while, for a solemn, grand-scale work like Les fils des étoiles, he fills the dissonant score with eccentric comments and a huge dedication, poking fun at the seriousness of the event. I find that the biggest problem with Satie, much like eighteenth-century French harpsichord music, is in the characterization. The pieces are increasingly fragmentary, and one has to learn to give each passage its proper character (even if it means pondering long and hard on what a “nightingale with a toothache” sounds like) without falling into the trap of bringing it all together by playing everything in the same tempo. Another problem here is that most pianists approach Satie’s music with preconceived notions about his music, failing to take into account the wildly differing changes of style from one piece to the next. The two most common approaches are “this music is too boring for an audience, let’s speed it up!” –Aldo Ciccolini is a good example of this done well– and “this music is so pretty, let’s make it minimalist” –Reinbert DeLeeuw does this in a good way, with his six-minute Gymnopedies. The fact is that a good Satie interpretation is a very delicate thing, there’s much more to it than just picking a tempo and trying to make pretty noise. It’s all about the little nuances in the phrasing, timing and timbre. Things you pick up by knowing the composer’s life and work in-depth and, most of all, by really loving the music and being truly convinced that what you are playing is a great work of art. But be careful, there is still a trap there. By giving the music the importance it deserves, that very seriousness undermines the spirit of Satie’s music, be it in his funny moods or in his “furniture music” period. See the problem? 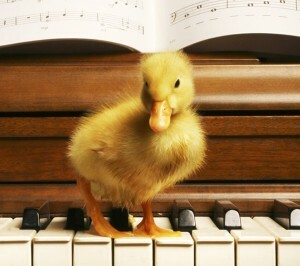 That’s why to play Satie, what you really need is a sense of humor. One of my favorite twentieth century pieces is Morton Feldman’s Piano and String Quartet. Playing it is grueling, mainly because it lasts almost two hours and requires a constant attention to the duration of the rests and the number of repetitions for each measure (all the durations are written out.) One little lapse of concentration in those two hours and it’s very easy to get lost and never catch the rest of the ensemble again, since it all sounds so similar –it’s also exhausting for the page turners, my wife turned the pages for me during a performance a few years ago and her back ached for a week! Feldman’s music tends to have rhythms that seem free and floating, with slow evolution and asymmetric patterns, his later music also tends to be very long. I find that the Prelude to the second act of Le fils des étoiles, by Erik Satie has some elements that are very Feldmanesque, not a small feat considering that it was composed 100 years before Piano and String Quartet, while the rest of Europe was still playing to Wagner’s beat. The first similarity is in the character of the music; when I play the music of both composers, I feel it has a very slow, quiet evolution, as some sort of solemn ritual (which is very much in the context of Satie’s prelude.) All kinds of interesting things are happening in the music and we have time to enjoy and assimilate each and every one. The other element in common, which is much more technical, is the way they both use repeating asymmetric patterns in their music. There is a special expression in the way asymmetric patterns and structures that are not quite perfect work. The imbalance in the music immediately calls attention from the listener and, in the hands of the right composer, it becomes fascinating. A lot is happening here, all of it for the first time in musical history. We have a small unit which is formed by two minor chords, superimposed. The top voice then jumps up in a tritone –since the middle ages, the tritone has had strong satanic and mystical symbolism and I wouldn’t be surprised if there is some sort of extra-musical significance to its use here by Satie (he did hang out with a Satanist sect for a while, after all.) The remarkable thing about this tritone is that it does not resolve in any way, he just repeats the whole thing a minor third below and then he continues downward with the sequence at a major second. Then comes a beautiful, metallic chord moving in parallel harmony. Note his use of asymmetry, he could have built the chord using only perfect fourths but he adds an augmented fourth right in the middle of the chord. This gives the chord a kind of metallic quality, a distinctive dissonance that alters the way it rings. Then comes the whole thing again, only transposed up by a major second. Here is another use of asymmetry; the beginning gives the impression that he will repeat the same sequence, but he departs from it in the third repetition, going down a fourth instead of a second and replacing the octave with a minor ninth. We end this section with another one of those planed quartal chords. Satie was always credited by Ravel as being the mind behind the french impressionist movement. The role he played in the history of music was that of a great experimenter, every few works moving into new ground. Much of the best music by Ravel and Debussy –and most french composers that immediately followed– was directly inspired by Satie’s experiments. I believe that, besides the experimental nature of his music, there is great substance in what he wrote. The aesthetic of his writing is so far beyond romanticism or impressionism that it is no surprise that his music wasn’t fully appreciated until the second half of the twentieth century. Erik Satie wrote the music for a pretentious play called Le fils des étoiles (The child of the stars) by self-entitled “super magician imperator” Sar Peladan, leader of an order of Rusicrucians and obsessed with mysticism (particularly that of Wagner). This composition by Satie included incidental music for the whole play, probably scored for flutes and harps (and recently re-orchestrated for that instrumentation by Toru Takemitsu), but Satie only published the preludes to each act for piano. The prelude to act one, La Vocation, is a surprisingly advanced piece of music. The music is very immobile and detached, a complete departure from the prevailing aesthetic of Wagnerian romanticism –the irony of this work being used for a play for a sect that included Wagner in their daily prayers was certainly not lost on Satie. More than an homage, this piece is a rebuttal to Wagner’s musical aesthetic. The score has no bar-lines or time signature, something that hadn’t been done since the renaissance. In this piece, for the first time in history, there is a systematic use of chords –in fourths, no less– moving in parallel motion, three years before Debussy’s famous use of parallel harmony (also known as planing) in his Prélude à l’après-midi d’un faune. Unlike Debussy which, in this period, was still using traditional harmonic functions and writing tonal music, the preludes to Le fils des étoiles are atonal and the parallel-moving tritone on top of the fourths already makes possible a proto-polytonality, due to the voices moving in completely different tonal planes. In only a few minutes of music, Satie uses harmonic techniques that were unheard of in the music of his time and predates an aesthetic that has much more in common with the music of Morton Feldman or Toru Takemitsu than with any of his contemporaries. There are many problems with the interpretation of Satie. 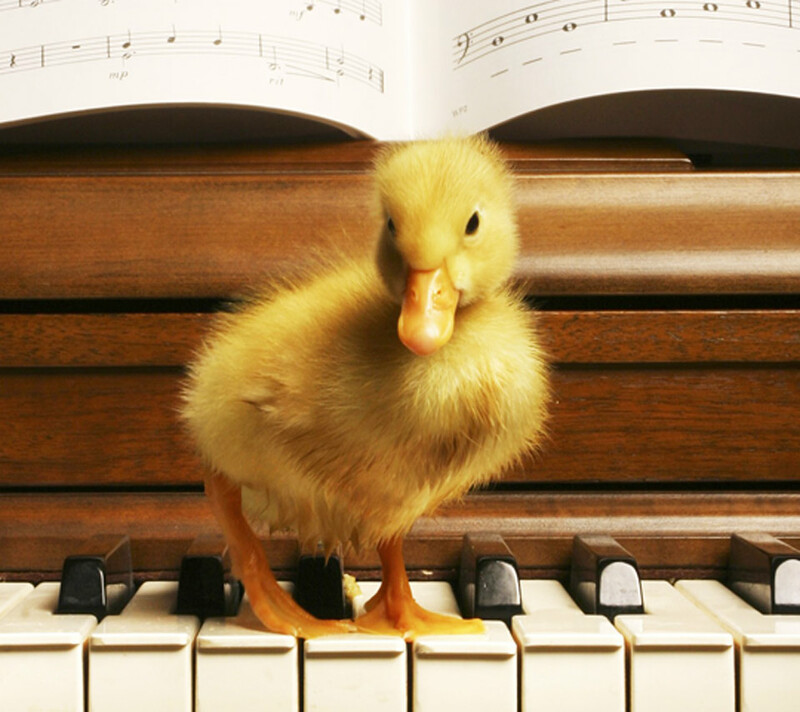 Many pianists fail by trying to make the music “exciting”, worried about boring their audience. Although it is also easy to lose oneself in a work that is so open to interpretation, often without time marks of any kind and with cryptic, sometimes humorous music directives such as “on the tip of the tongue.” Players often get distracted by the eccentricity of Satie’s personality and the often bizarre indications on his scores but, beyond the surface, there is amazing, revolutionary music in these still, immobile compositions.